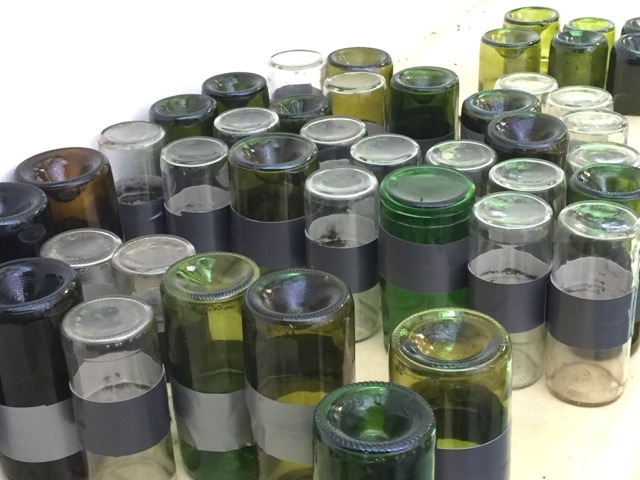 We are recycling and preparing glass bottles for our future earthship inspired building in the mountains. Our French volunteers, Camille and Quentin have found the most efficient method to build bottle bricks to be use in the building in a decorative fashion. They cut a line through the bottle and then burn it with a candle and then icecube it. Thus the brick comes out very clean. 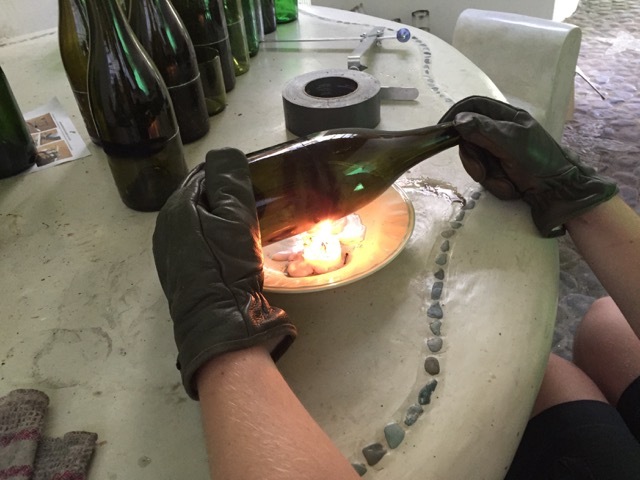 The two bottle ends are then sealed together with a strong tape. We are looking now for people interested working with us in a quite remote environment, as experts in earthship building, architect and /or planner and supervisor as well as other volunteers. The planned beginning is November, this year, all depending on the weather conditions. Please write to info@jiwadamai.net of you are interested or have someone who might have the knowledge we need. Solar experts are needed as well!